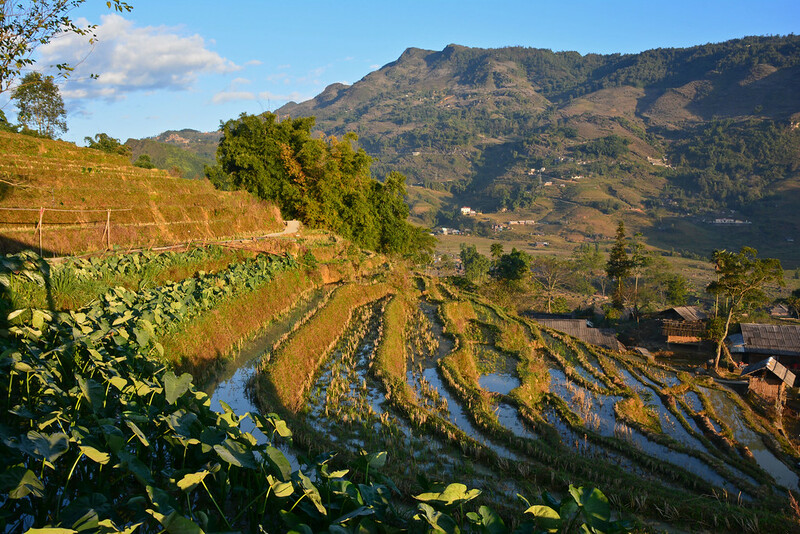 Tucked away between saturated rice terraces and a panorama of mountains is the small village of Lao Chai. Close to 1,000 Black H’mong ethnic minority reside in this village located near Sapa in Northwestern Vietnam. We made our way along dusty and occasionally muddy roads, passing gushing streams and waterfalls, and strolling through other small villages brimming with friendly locals and smiling children. After 8 exhausting yet rewarding miles (12.9 km), we came upon Lao Chai, the small village where we would rest for the night. 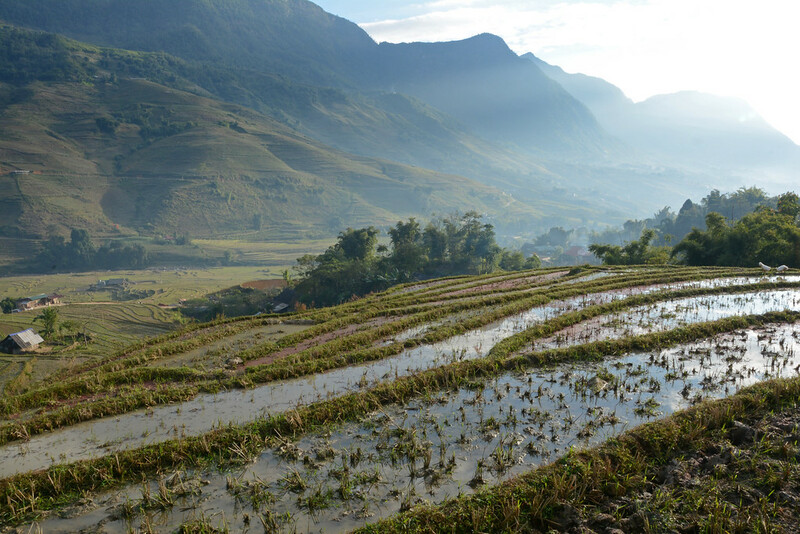 Trekking amongst the rice terraces and staying with locals is a popular experience to be had when visiting the mountain town of Sapa. 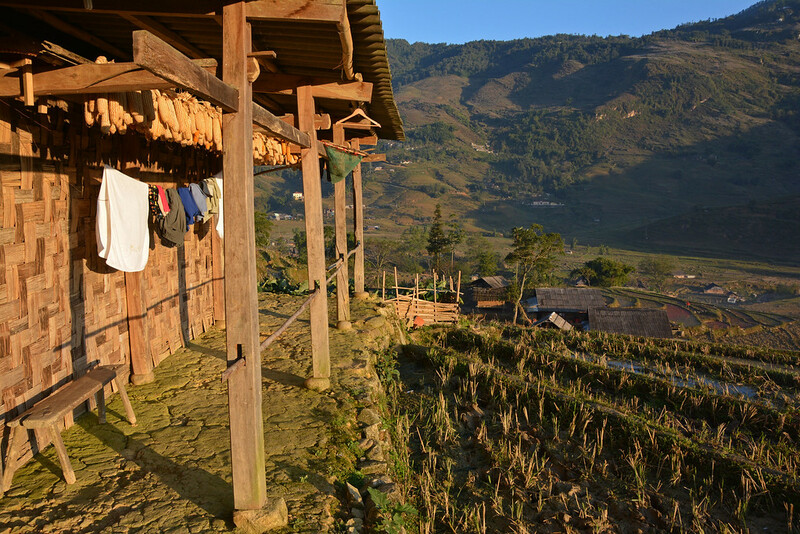 While there are a plethora of trekking and homestay options available, we booked our Sapa homestay experience through Buffalo Tours. Many homestays take place in the touristic village of Ta Van, but Buffalo Tours takes you off-the-beaten-path to the less frequented village of Lao Chai. Of course, it requires an 8-mile hike to get there, but it was oh-so worth it! We were greeted with warm tea and a piping hot herbal foot bath to soothe our tired bodies and achy feet. Soaking our tired feet in an herbal foot bath was pure heaven! 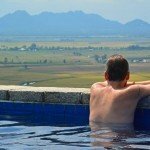 With our feet resting in the hot bath and a breathtaking view of rice terraces and mountains set before us, we were already loving our homestay experience, and we had only been there all of 10 minutes! If there’s one thing to which we could attribute our newfound love of Vietnam, it would have to be the people. We have never felt more welcomed in a country or been greeted with so many enthusiastic waves and smiling faces. Our homestay hosts were certainly no exception! We were treated like family as we were welcomed into their home. Their children took to us like new-found neighborhood friends, kicking around a soccer ball, playing with a yo-yo, and sharing some giggles. No real conversations took place between us and the children, but no words were ever needed. The host mother (affectionately called Ms. Moo) spoke English very well and we were quite impressed to learn that she never received any kind of formal English lessons; she simply learned conversational skills through her interactions with foreigners. 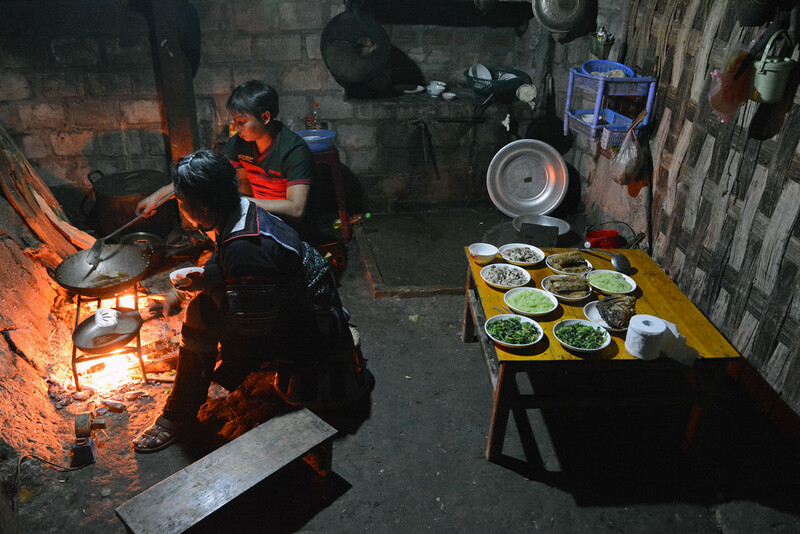 Another highlight of the evening was having the opportunity to witness Ms. Moo and her husband cooking dinner over an open fire, the traditional way of preparing meals in the H’mong villages. There really isn’t an option to go to a local restaurant (without a far walk) or call in a delivery order to let someone else do the cooking. Even after working hard all day, it’s just a part of their routine, and it’s a great time for family togetherness. They had quite the elaborate menu planned, even accommodating our vegetarian and non-coriander (cilantro) preferences. 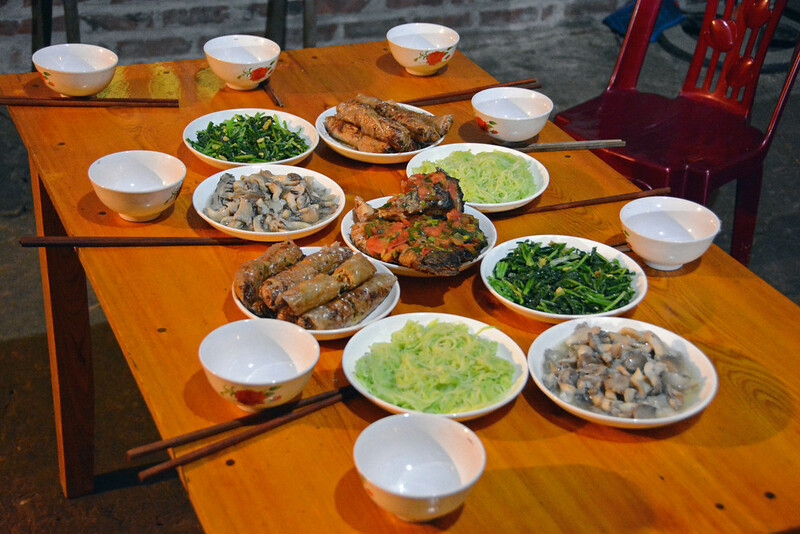 We dined on fresh vegetable spring rolls, fish, rice, mushrooms, squash, and other local vegetables. It was quite the feast! Between the two of us, our host family of 5, and our trekking guide, we still weren’t able to finish all that had been prepared, though we came pretty close! 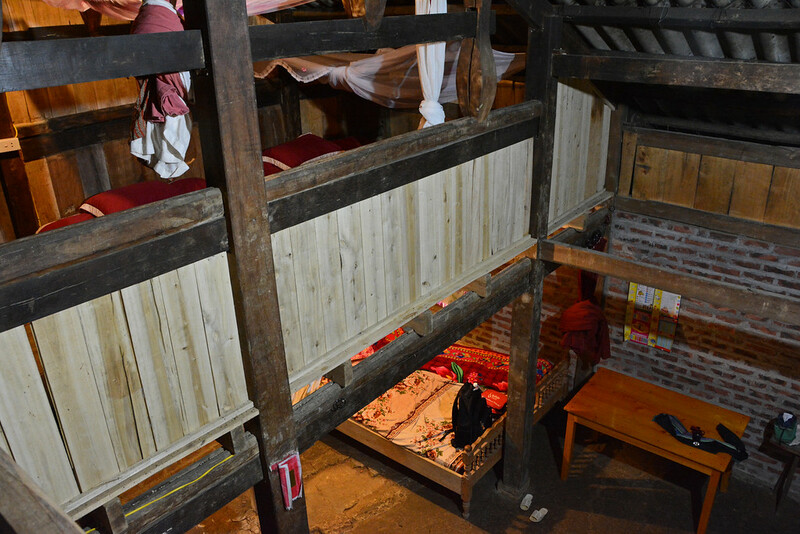 Collectively built by the villagers themselves, their home was designed with solid structure and comfort in mind. It’s a team effort to build a new home in the village, with many people pitching in to help. We learned that it takes about a year to gather and prepare the supplies and only about 2 weeks to actually build the house. Most of the year of preparation is required for the collected wood and bamboo to soak underwater to prevent later damage from termites and cracking. The house is designed as one big room with two levels and many different sections. 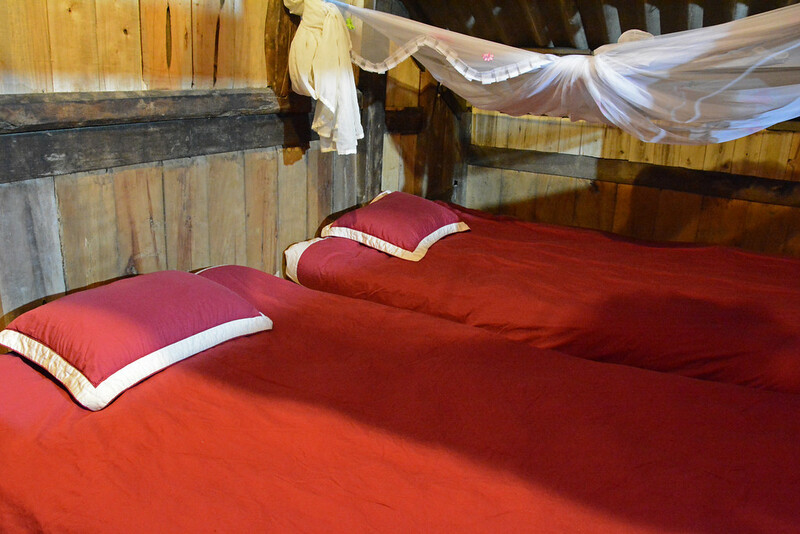 We slept on two mattresses on the upper floor and found it to be rather comfortable! Though after 8-miles of hiking, we probably would’ve been fine sleeping on just about anything! 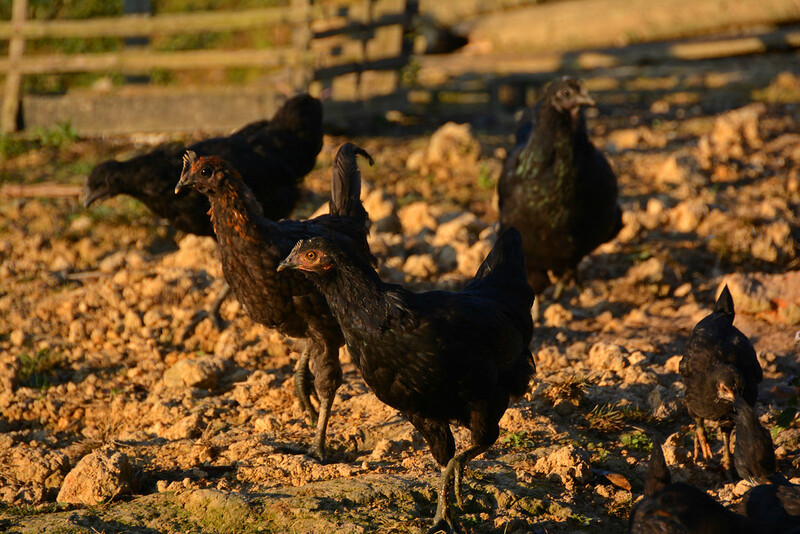 It’s a good thing we went to sleep at a decent hour, because whether you set an alarm or not, you will most likely be woken up with the sun (or even earlier), as the chickens and roosters feel that it is their civic duty to NOT let you sleep past 5 am! That’s village living for you! All was just as well; we still managed to get (almost) 8 hours of sleep and felt well rested for another day of trekking! We were greeted with yet another gorgeous November day and spent the first hour of the morning just admiring the sun’s rays illuminating the surrounding rice terraces. Away from the hustle, bustle, and honking in nearby towns, village life is quite peaceful. 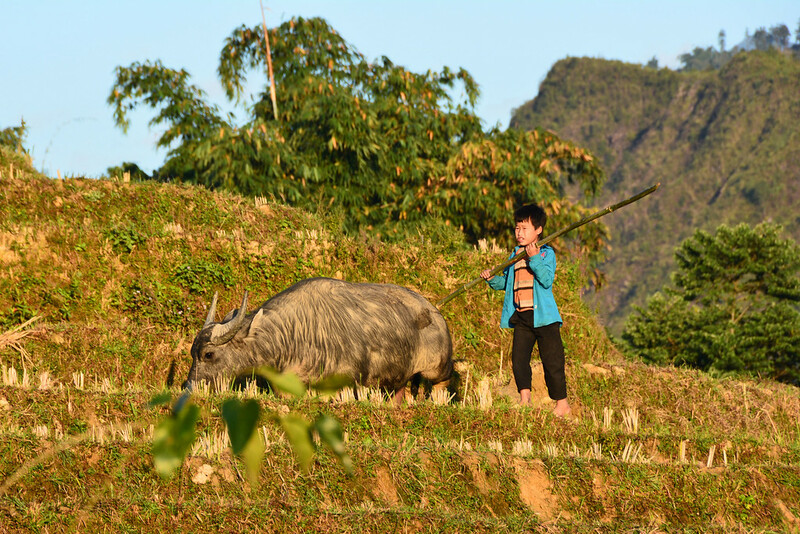 With nothing but the occasional clucking chicken, quacking duck, and grunting water buffalo to cut the silence, we thoroughly appreciated the tranquil atmosphere in Lao Chai village. As we enjoyed a delicious breakfast thoughtfully prepared for us, we sat back and observed the harmonious life around. Everyone in the village has a ‘mission’ or a job. Whether tending to the rice terraces, guiding the water buffalo, caring for small children, or serving as the local medicine man, every person plays a role in contributing to the order of the village. 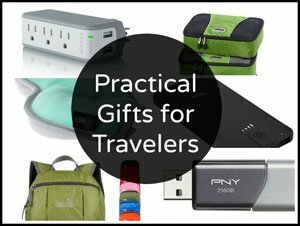 As we travel more frequently, we are continually seeking out deeper travel experiences. It’s easy to follow guidebooks and check off must-see attractions, but we’ve come to realize that in order to truly experience a destination you must interact with the locals and get to know their traditions, customs, and beliefs. It’s then that you realize what a fascinating and multifaceted world we live in! A cultural experience with a spectacular view- highly recommended! 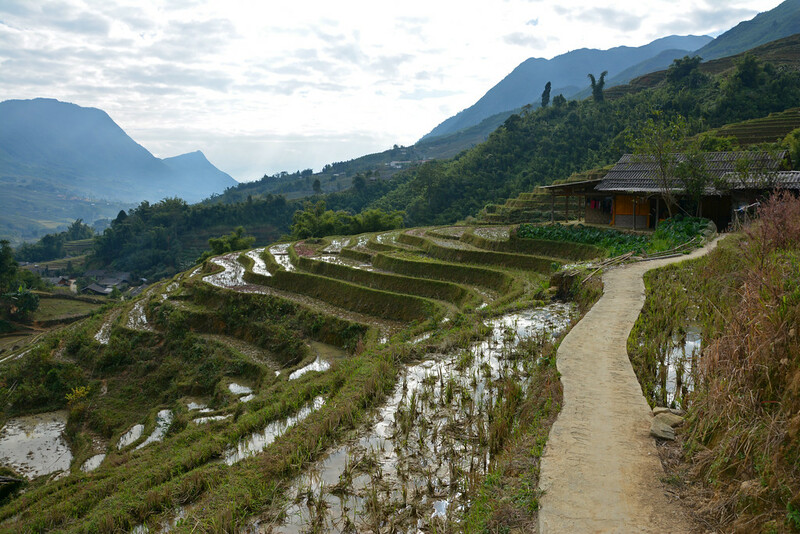 Our Sapa trekking and homestay experience was provided compliments of Buffalo Tours, a leading travel company providing outstanding customized tours throughout Southeast Asia, and was most recently recognized at Vietnam’s Leading Tour Operator by World Travel Awards. They design expertly-crafted itineraries and tailor-made travel packages with the customer’s interests in mind and take it a step further to ensure their guests have enriching and cultural experiences during their travels. If you are planning a visit to Northern Vietnam and are interested in having a similar Sapa trekking experience, get in touch with Buffalo Tours and let them customize a trekking adventure designed to match your fitness level and desired length of tour. We’d like to thank Buffalo Tours for this unique and cherished opportunity. As always, our write-ups are an accurate reflection of the opportunities we had. Hi guys, this looks like an amazing experience. 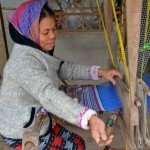 My sister and I are traveling to Vietnam in March and would love to do something similar! 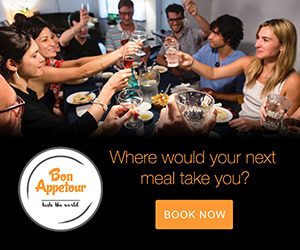 You definitely should look into a homestay opportunity. It’s such a great way to really immerse yourself into a culture! Trips like this stick to your memory forever. 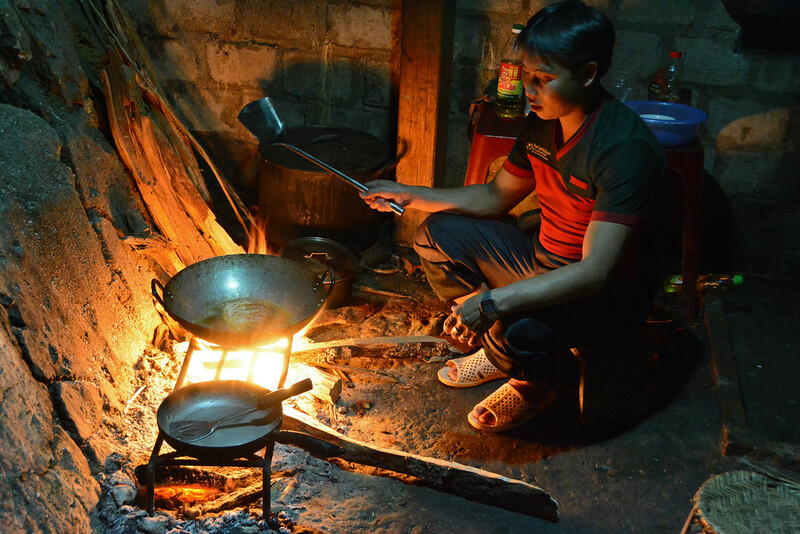 Homestay is a great way to learn how the locals actually live and appreciate more a country! Agreed! We’ll definitely look for more opportunities like this as we continue our travels. Wow! Very impressed by the experience. That table of food looks amazing. I’m excited to see they also have tours in Indonesia since I’m heading there this spring. Thanks for the recommendation. The dinner was phenomenal… so. much. food. and so delicious! 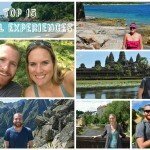 You should definitely look into booking a tour/activity with Buffalo Tours. They provide amazing cultural experiences all over SE Asia, including Indonesia! 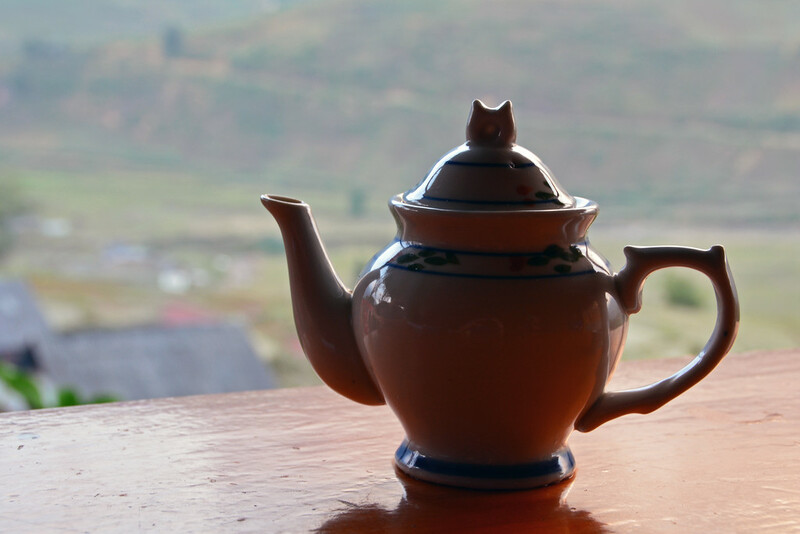 This brought back such beautiful memories of Sapa, a place that will always be so special to me. Thank you! And beautiful pictures by the way. Glad I could help you relive wonderful memories! 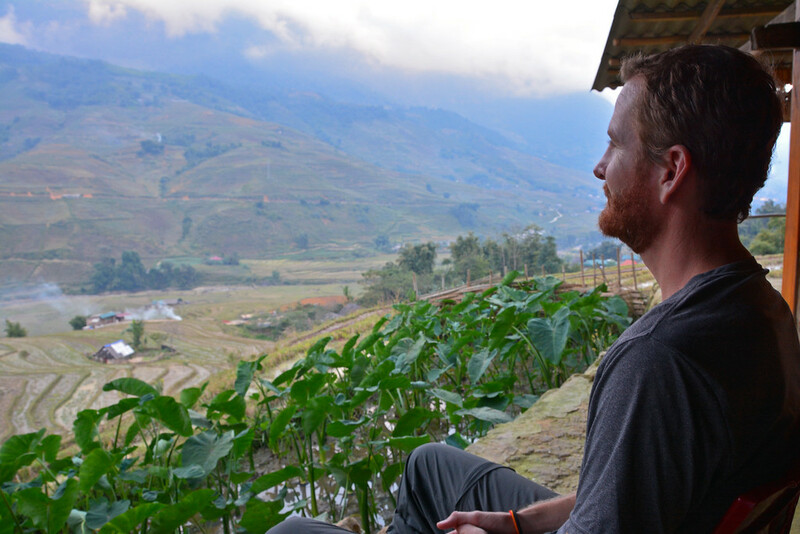 Sapa was truly amazing. 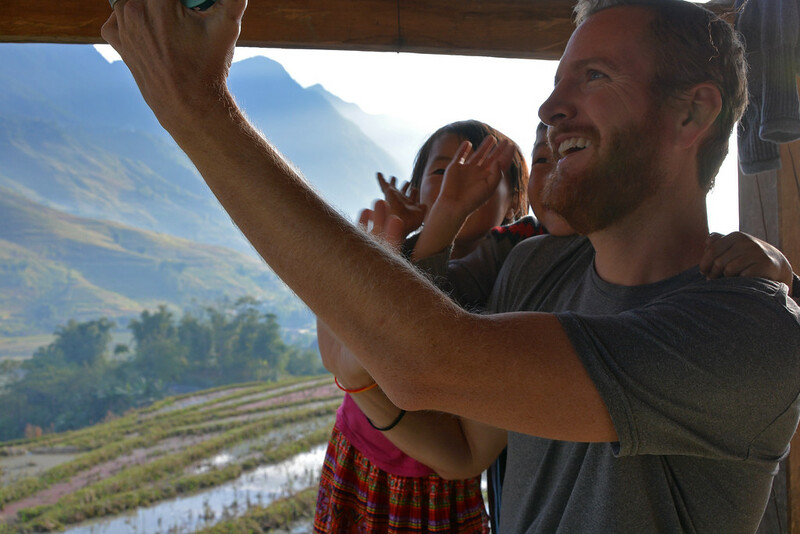 Sapa looks amazing and you really lucked into an awesome memorable experience staying with that family. The meal looks spectacular and the children are adorable. So nice you included a FaceTime call with your folks to share the experience. How sweet…. The whole experience was so special and something we’ll remember for a long, long time! That’s quite a hike to get out there, but it does look totally worth it to get away from busy parts and see an untouched paradise, complete with tea and foot baths. 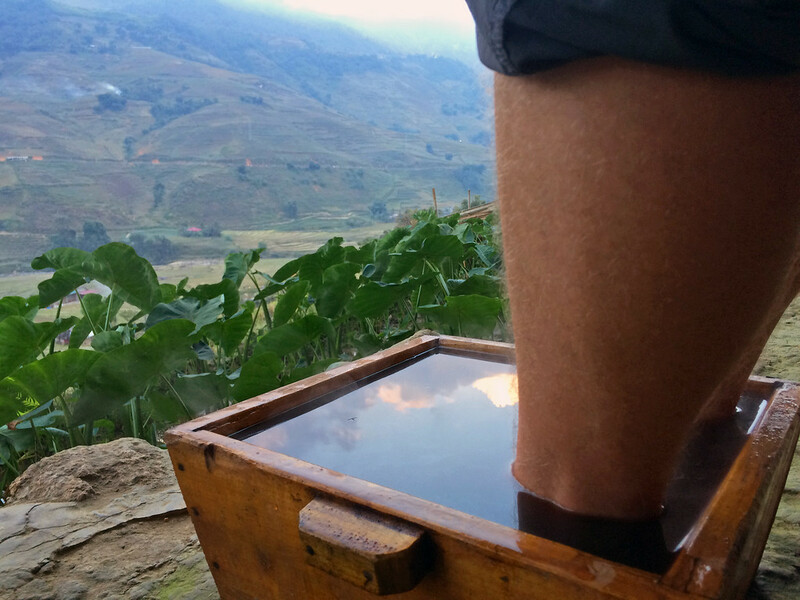 The warm tea and herbal footbath was a perfect treat after a long, semi-strenuous hike! The rooster wake-up calls weren’t too bad, since we went to bed at a decent hour. Cilantro is in a ton of dishes in Vietnam and we are both pretty grossed out by the flavor. We’re glad they were able to accommodate! We actually didn’t see too many dogs along the particular trail we took. Just water buffalo and a few pigs. There may have been a few dogs as we passed through the different villages, but none that were nuisance. 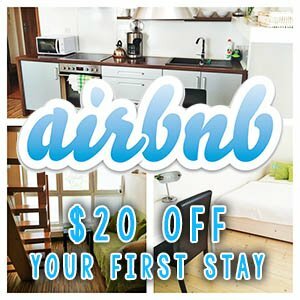 This type of trip is completely up my alley! I’ve made note of Buffalo Tours as well, as while I usually enjoy doing things on my own, it’s nice to have some things done for me by experienced guides. 😉 Vietnam is one place I’ve not been, yet! We prefer do-it-yourself holidays most of the time, as well. But it is nice to have someone else tailor a tour or entire holiday based on your personal travel preferences. 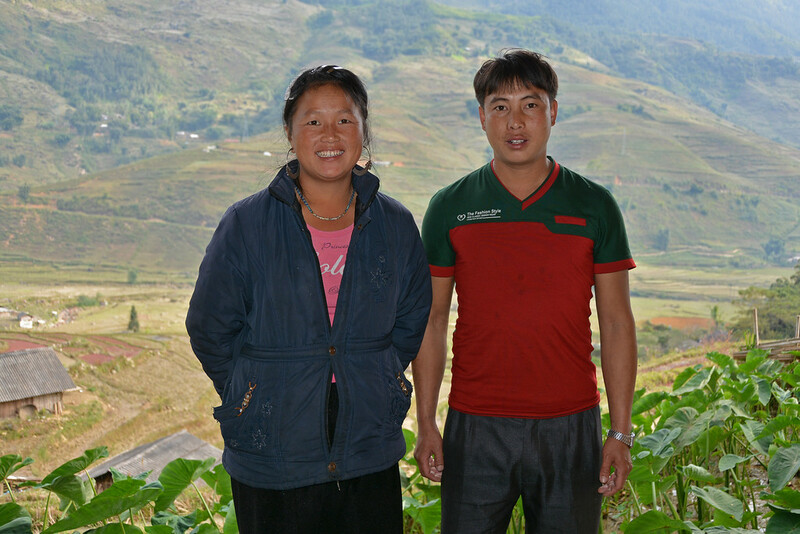 And yes, some places require a guide; we would’ve been totally lost in Sapa without our trusty guide! Oh wow, this looks heavenly! Such an incredible way to experience Vietnam. It sounds like everything went well for you guys (can’t believe how much sleep you got with those “alarm clocks” around, lol!). Thanks for sharing all of these beautiful photos from your trip! It helped that we went to bed fairly early! 4 am came quickly! This sounds like exactly the kind of experience I would love. I can only imagine how good that food tasted after a long hike! 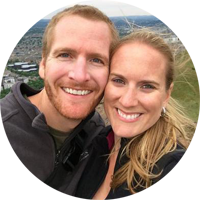 I love seeing opportunities that can partner travelers with smaller villages. So many travel programs operate just in larger cities but there’s so much to experience in the country side. Exactly. It was such a special and unique experience so peaceful and far removed from a big city. And yes, the food was very much welcomed after a long hike!